"Well, we have to wake up the other boys, its time for breakfast to open and I don&apos;t want it to get busy." "Oh, ok. Ill go wake them up and get dressed while you get ready"
"Ok" I say as he walks out and I get dressed and I dry my hair, straiten it, and put on light makeup. I walk out and the boys are all sitting on the couch waiting for me. "Wow, girls really do take a long time to get ready." Josh says and everyone laughs while Brendon walks up to me. "Haha, very funny" I say looking up at Brendon. "Its not funny, I think you look very beautiful, like always." He says holding me by my waist and he plants a small kiss to my mouth. "We better get going. I don&apos;t want to miss all the good food, What am I saying, its all good, c&apos;mon lets go." I say pulling them out the door. We meet Dallon, Kenny and Dan at the elevator. "Hey guys, how was your first night?" I ask giggling at the tired boys in from of me. "It was actually really nice, those beds are really comfy" Kenny says pushing the buttons on the elevator. As soon as we step outside the cold brisk air hits all of the boys hard and I just laugh. "What&apos;s so funny!? Its freezing!" Josh says rubbing his arms up and down. "Yeah, it is cold, but im used to it. Haha, like I said, my second home, its like I was born to be in the snow." I say as we all walk into the lodge. "Come on, follow me. Breakfast is up here." I say leading them up the stairs. "How many?" The lady at the front says. "Um...7?" I say and look at Brendon. "Yeah, 7" He says and the lady tells us to follow her. She seats us at a big round table and gets us all some coffee. "Ok guys, so as you can see, for breakfast it is all you can eat so you can go up and get whatever you want to eat. There is a lot. If you want a made to order omelet or waffles the you will have to wait for that stand over there to open up." I say pointing behind me to the closed stand. We had gotten here early enough so that we were the first people in there. It doesn&apos;t really get that busy here. Me and Brendon go up together to get our food. I get hash browns, French toast, scrambled eggs, sausage links, bacon, a doughnut, and some fruit. Brendon does the same because he knows that I know what is the best there. We sit back down and start eating while everyone else is getting their food. "Omg, (Y/N), this is amazing. ugh, you should have told me about this place sooner." Brendon says. "First timer huh" An older woman behind us says. We both turn to see one of the waitresses. I remember her from when I was a little girl. She would always wait on us and my parents became good friends with her. "Haha, Yeah. This is my boyfriend and he decided to pay for a ski trip here and Im gonna show him the ropes." I say making the three of us laugh. "That&apos;s right, (Y/N) right?" She asks. "Yeah! That&apos;s right!" I say happily. "Wow, you have really grown. What ever happened to you guys? One year you were here as a small little girl, the next, you were gone." She asks and a worried expression climbs onto her face. "Oh...My dad, he walked out on us and we uh...didn&apos;t have the money" I say trying to stay happy. "Oh, im sorry to here that hun, Im glad your back now." She says and Tyler and Josh come back with their plates stacked with food. "Let me guess, their new to?" The lady asks. "Yeah, there my friends. Tyler, and Josh. Oh and Brendon is my boyfriend." I say and she refills our coffee&apos;s and continues her work. The other three get back and By now me and Brendon are done with our food. We just sit there and wait for the others to get done with food. 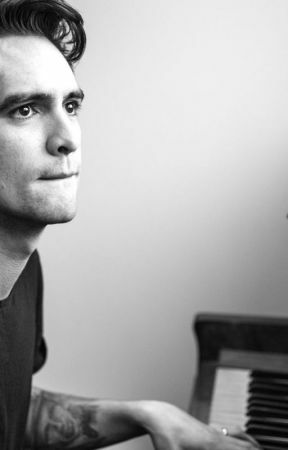 "So what&apos;s the plan (Y/N)" Brendon asks leaning back in his chair. "The plan is that we are gonna go get skis and boots for us four." 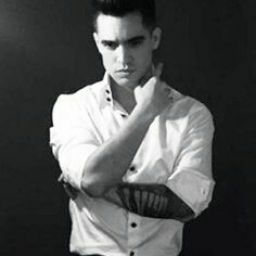 I say poking Brendon in the belly making him groan. "Ugh, ok." He says and a couple minutes after Tyler and Josh are done and we get up and start walking downstairs. "So, how was breakfast guys?" I ask taking them to the other door. "It was great" They all say at the same time as we walk outside and they all yipe like little dogs when the cold air punches them in the face. I just laugh and roll my eye. "You guys do know that it will get worse right? when we are skiing the wind will be pushing against your face." I smirk as they just groan. We walk all the way to the rental shop as I jump around in the snow from excitement. "Ugh, your just so cute!" Brendon shouts as he picks me up and spins me in a circal and I just scream and shout for Brendon to put me down. He throws me over his shoulder and I laugh and puond on his back which makes him laugh more. "Is this where were supposed to go?" Brendon asks. "Well, I could tell you if I could see where we are" I say and Brendon puts me down in front of a door. "Yes, this is the ski rental shop. come on, lets go." I say leading them all in. "Hello, what can we do for you?" A young man says approaching us. We tell him that we need skis, boots, and polls. and three other men come out to help all of us. We all get fitted and I look at Brendon, Tyler and Josh trying to walk in their ski boots and I just fall to the floor laughing. "This isn&apos;t funny! This is really hard!" Josh says which makes me laugh harder. We all finish getting fitted and we carry our skis, polls, and boots out and back to the hotel room to get changed. Once we are changed we all walk out of the room and outside. We make big clicks with each step we take. After a couple minutes we finally make it to the spot where we put on our skis. "Ok guys, put the toe right here, then line up the back and click your heal down." I say trying to teach them how to put on skis. It takes them a couple minutes to do it but they finally get it. I show them how to walk with the skis and we make our way to the &apos;magic carpet&apos; which is a small platform that you stand on and it takes you a small distance up the hill. Its mainly for beginners. "Now watch me" I say as I slowly start going down the hill. It takes them forever to get it. They kept falling and crashing into each other. But they did get it and bye 4:00 when its time to put skis away they had it down. They were skiing really well, for first timers. "ok guys, take off your skis and follow me" I say as they start walking to a long stand. "Guys, this guy will put our skis here and then he will hand us a tag." I say handing the man my skis. The rest of everyone did the same and we walked inside. I was clearly not looking where I was going because I had tripped and knocked someone over. "Oh my gosh, im so sorry" I say extending a hand to help him up. He removes his helmet and I see that it was Aiden.